Available in Black, Royal Blue, Navy and Red. 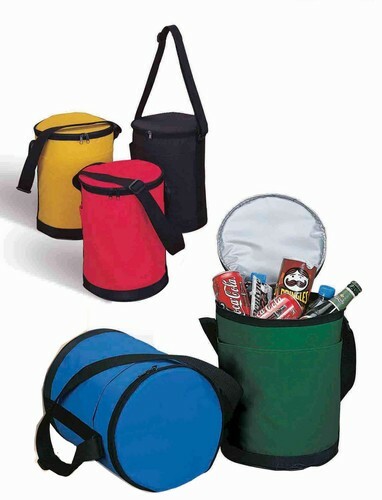 Round cooler bag is great for all outdoor events. Tubular designed cooler with top zipper opening. Large front open pocket allows big imprint area. Fully lined and heat-sealed interior. Reinforced pyramid grain PVC bottom.